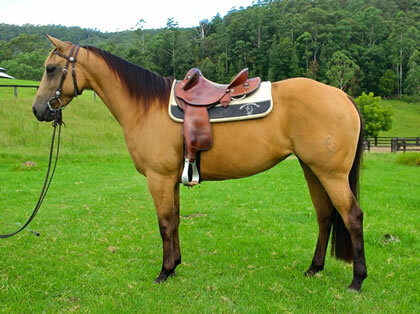 Description: - Dont miss the chance to purchase the full sister to one of Australia’s greatest reining horses, Rocin on the Ranch. Ranch and Romance (IMP) x Jazzy Little Jewel. Beautiful natured and well grown filly. Description: - Acres Destiny x Check Out the Chic ("One Hellofa Spin's" 1/2 sister) 3 year old filly. Hellofa Chic is a full sister to "One Hellofa Acres" and is currently in training with Scott Johnston at Wellington NSW. Please visit the Bellarimbah facebook page for video footage. This is an amazing opportunity to purchase a mare of this caliber. For Sale - $33 000 inc gst. 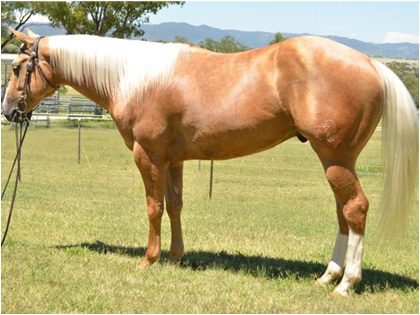 Description: - Stunning palomino gelding by Rey Dual, in training with Oliver Reinhardt and on track for the 2016 Australian Gold Buckle Reining Futurity. Beautifully natured horse that is going to make an exceptional NP reining horse after the futurity. 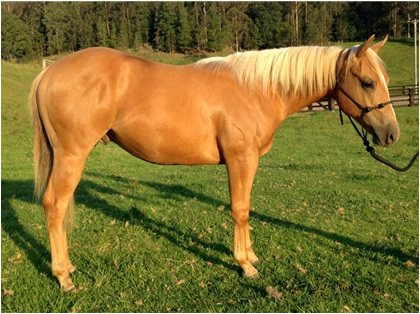 Description: - Beautiful Acres Destiny Palomino Colt. Out of a half sister the Ian Francis's great stallion Mahatma Cote. 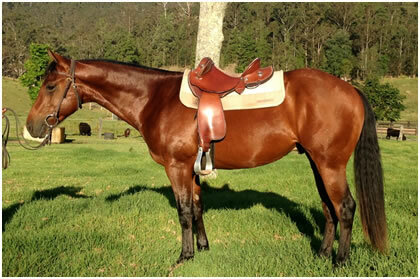 This colt should mature around 15.2 hands and make a great Challenge, Campdraft or Reining prospect. He has had 5 months reining training with Oliver Renihardt and is currently in training with Rob Leach. Description: - Acres Destiny colt out of NCHA Reserve Snaffle Bit Champion and half sister to the great One Hellofa Spin. He is bred and built for any cow horse event. 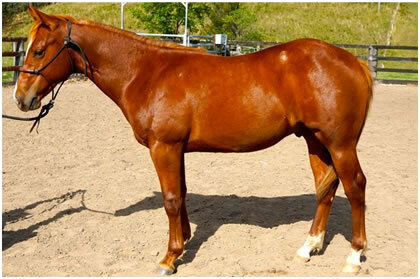 Description: Acres Destiny gelding out of the good Non Pro cutting mare "Phlitabug". 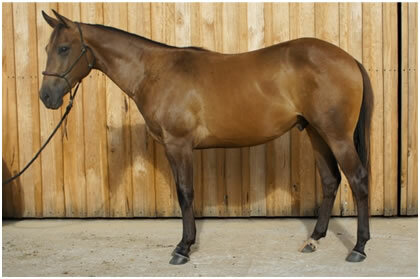 This gelding will mature around 15.2 hands, he is currently being broken in and has a lovely nature. 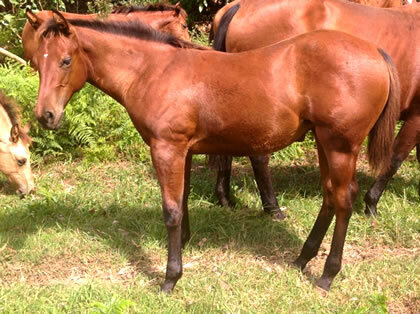 Description: - A stunning looking solid colt by Whos Top Cat. Out of Princess Lena who is a full sister to Tack Olena. This colt is a 7/8 brother to Whos Tack Cat and Whos Top Tack, and comes from the same family as Giddy Coals. Entered in 2013 NCHA Futurity Sale.